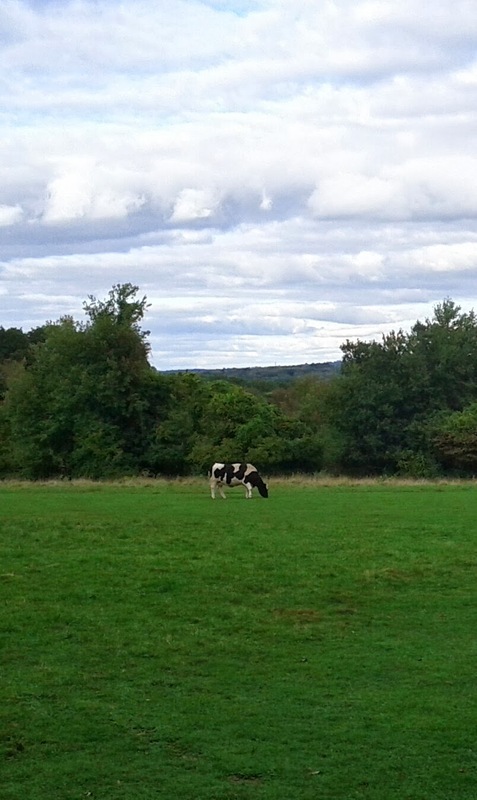 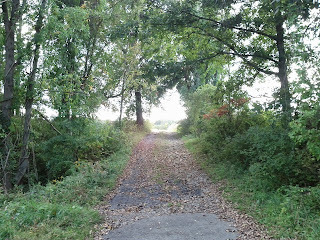 and has some great scenery, too! 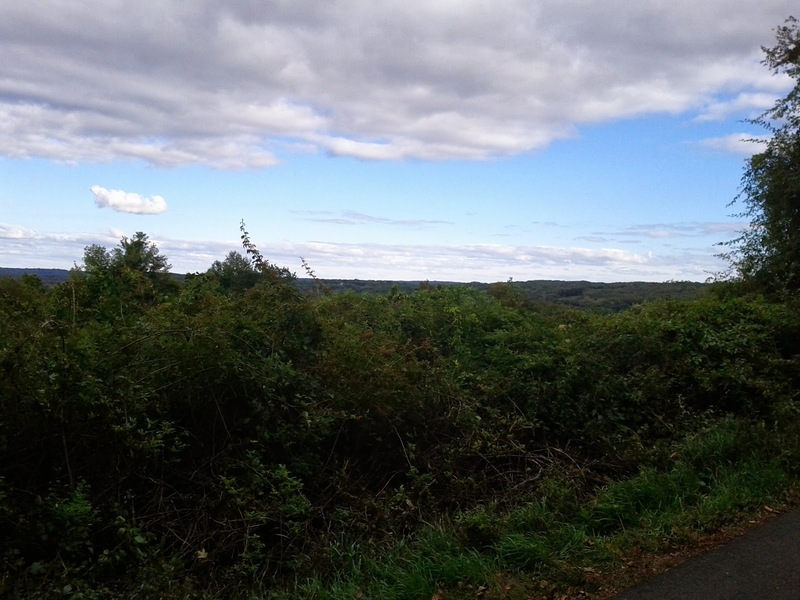 There is one grass landing strip in Newtown called Flying Ridge that was once the home of Robert Fulton, a local inventor who came up with the idea of using a balloon to lift up a tow rope for stranded pilots or sailors so a plane could extract them from their predicament. 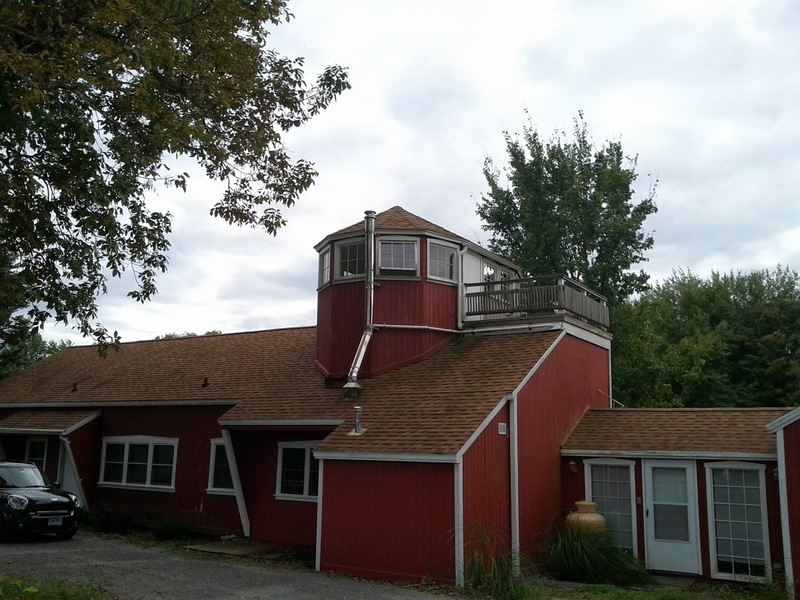 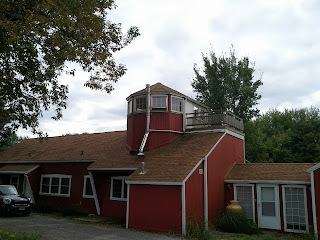 The strip even has it's own little air tower built on top of a barn. 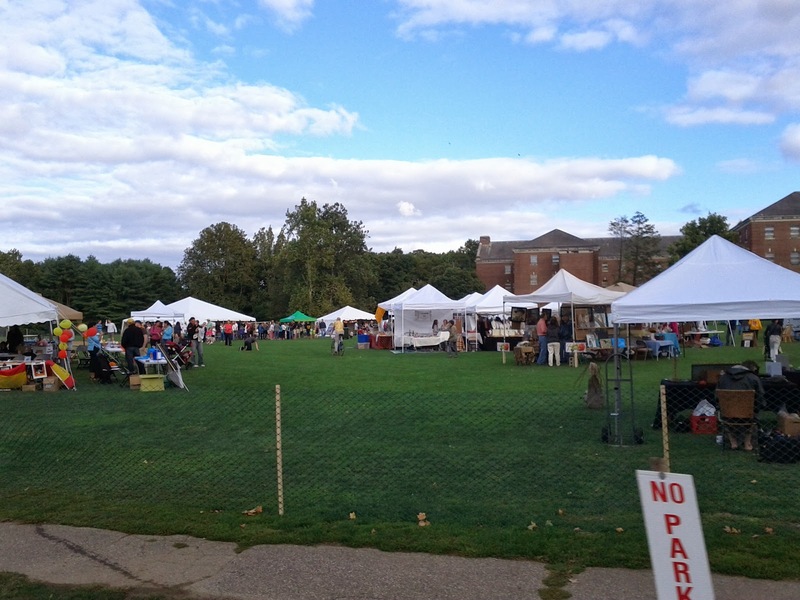 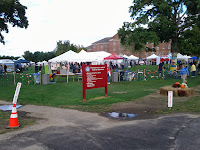 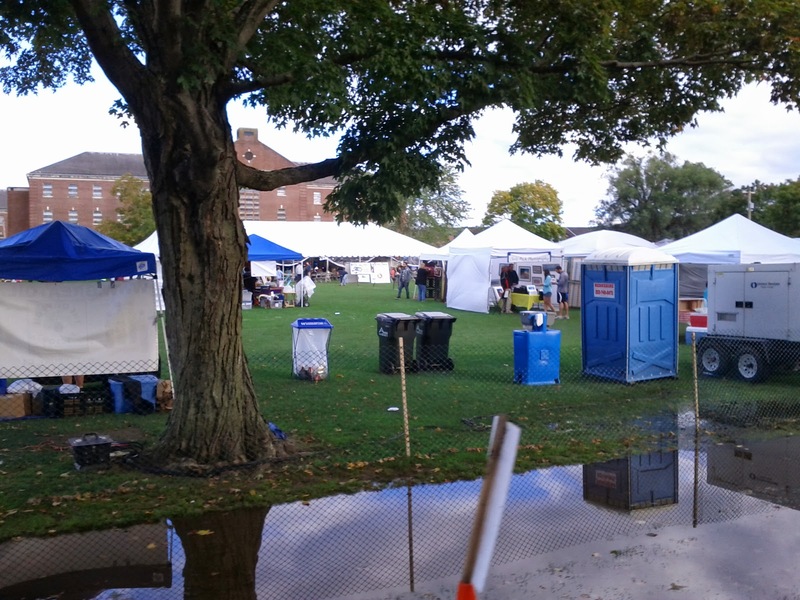 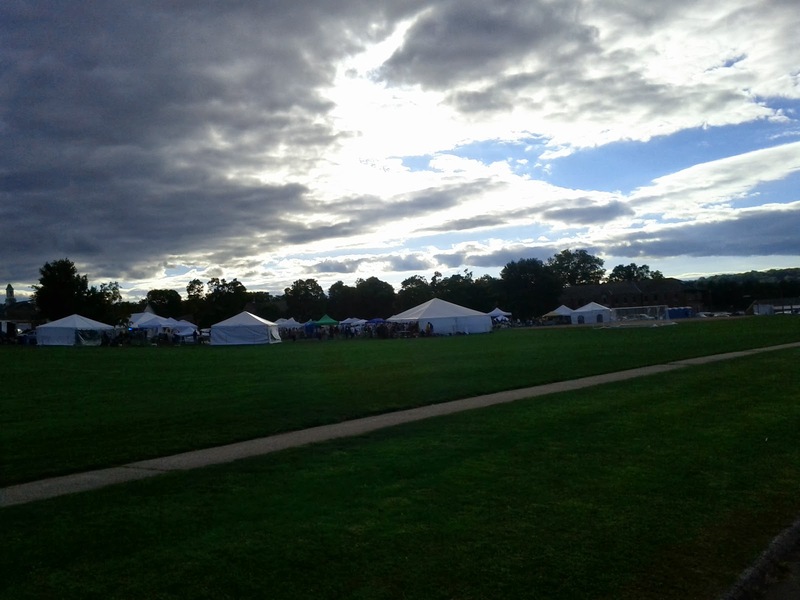 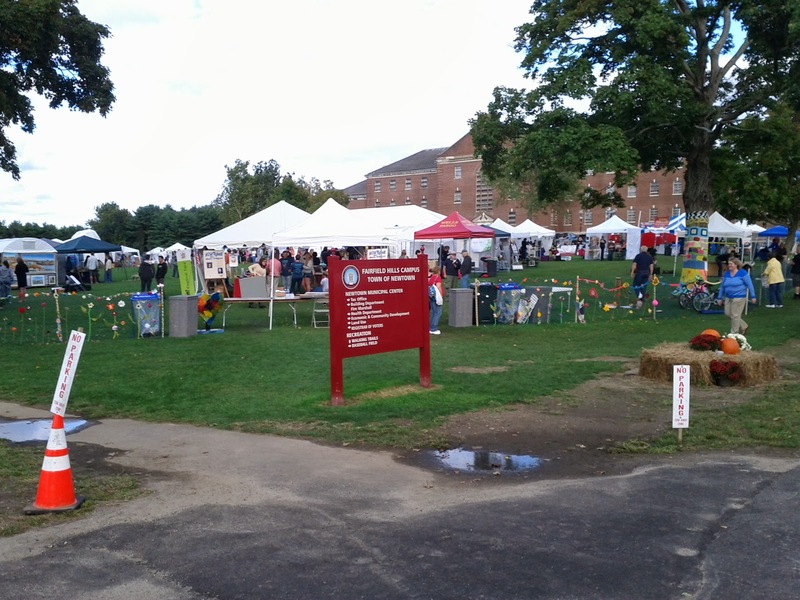 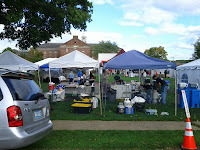 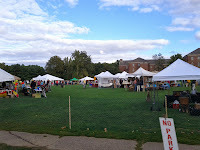 There was a crafts fair on the central field. 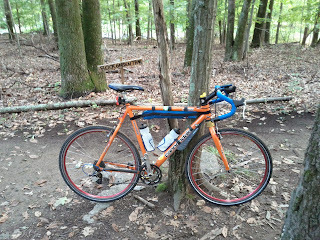 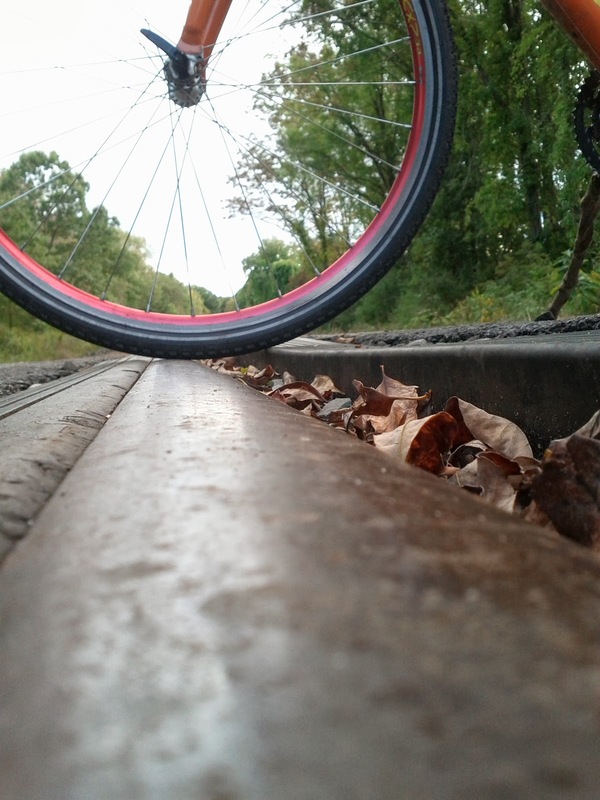 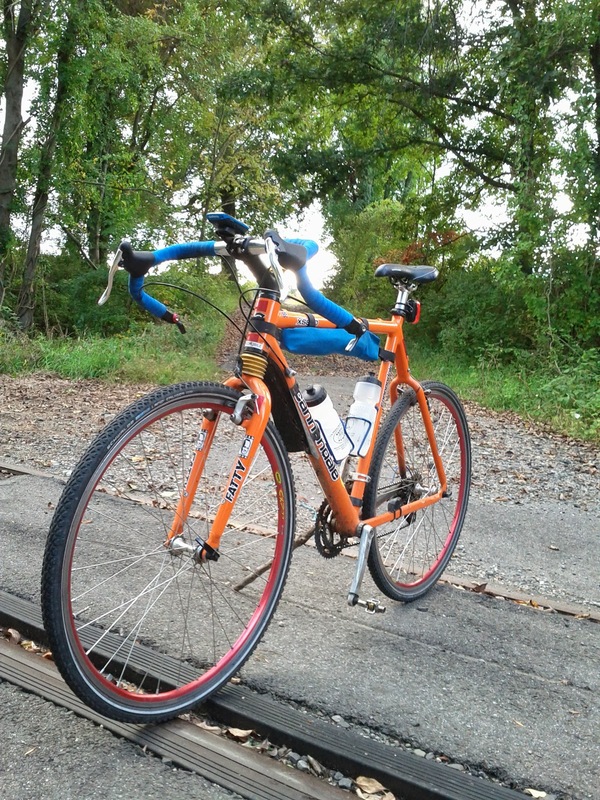 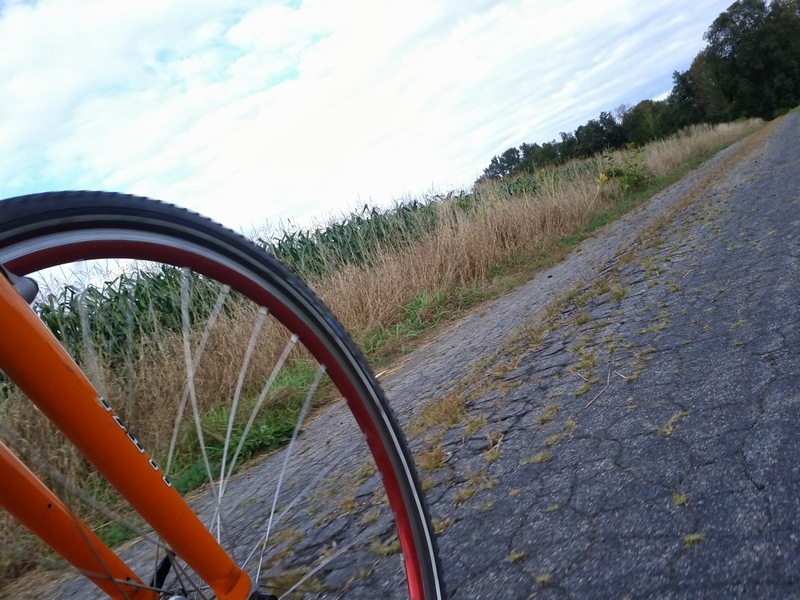 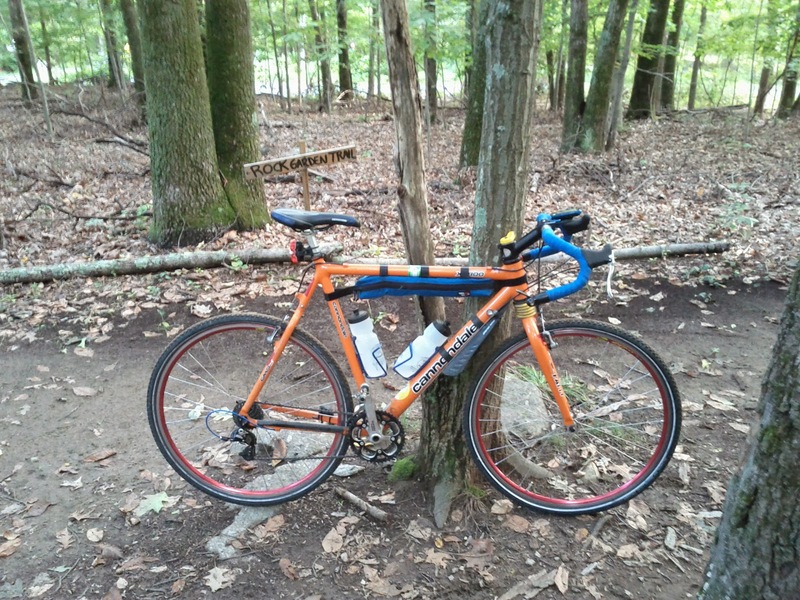 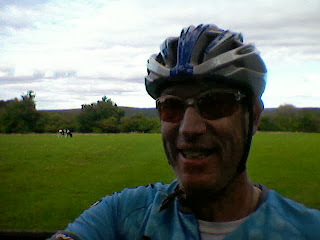 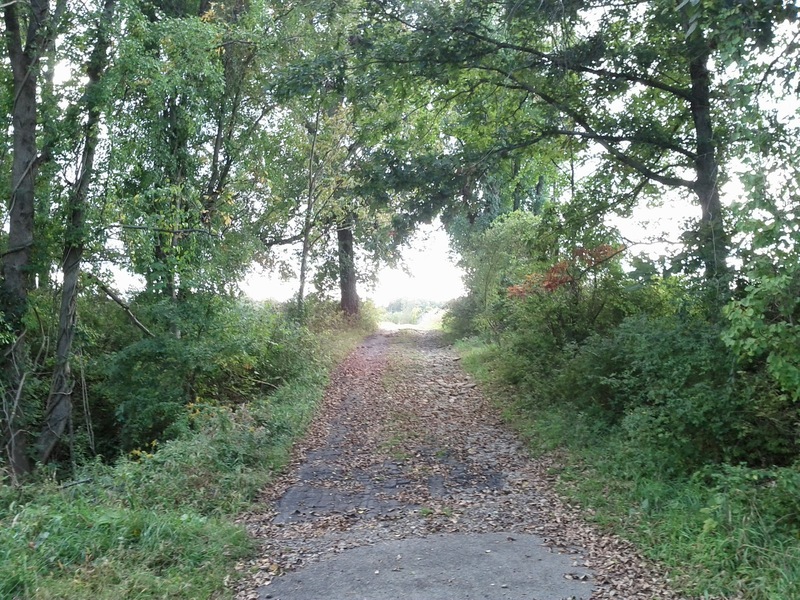 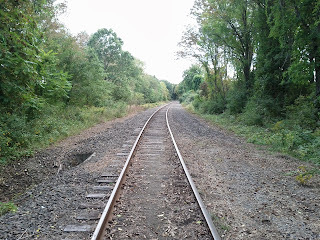 The trails at Fairfield Hills are excellent for cyclocross and I had no problem riding them!